So here we are, nearly two weeks into 2016, and here I am just now getting to this post. 2015 was a hard year. It had its good times, but for the most part I wouldn’t call it the best. 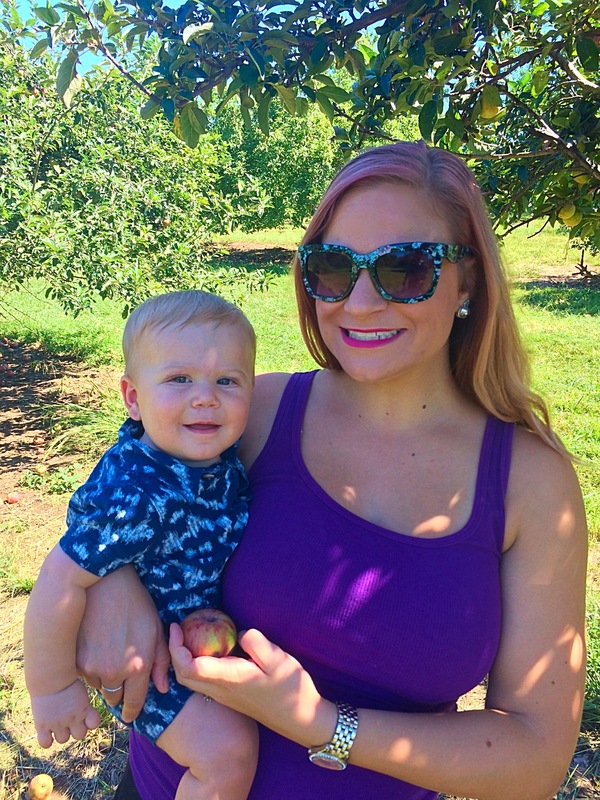 I felt like I was pregnant for the whole year, which aside from about two months, I was. I decided to focus on photos for this year in review, and tried to decide on just one photo per month, which was hard because some months had a lot going on! 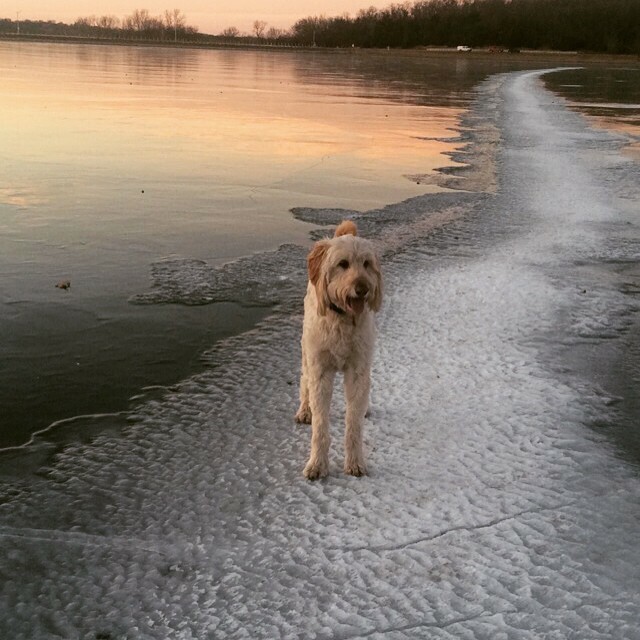 Babigurl on the frozen lake at the dog park. I’m trying to remember back to a year ago…..there wasn’t really much going on in January, but we did take Dixie to the park a few times! February was a dreary month. 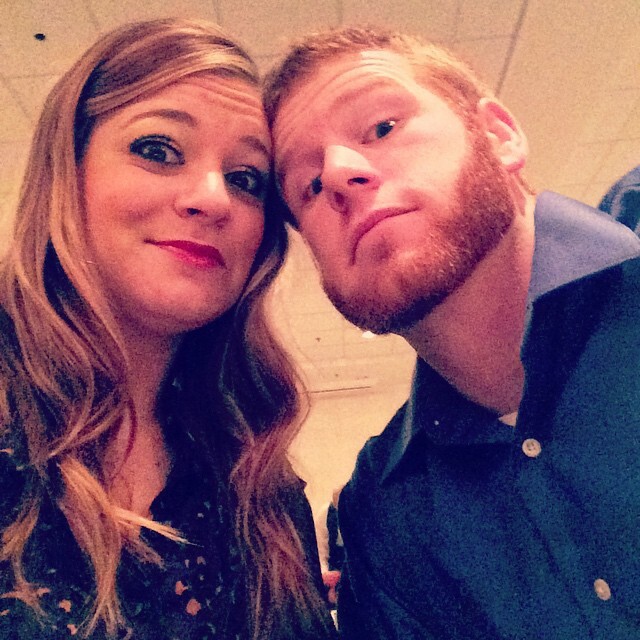 We did attend a wedding of a couple college friends and had a blast. February is also when this happened. Walked nearly 22 miles in one day! In March I joined Game On For Kansas Schools for one day of their 60 mile trek from Kansas City to Topeka. It was an amazing experience, and I wrote all about it here. 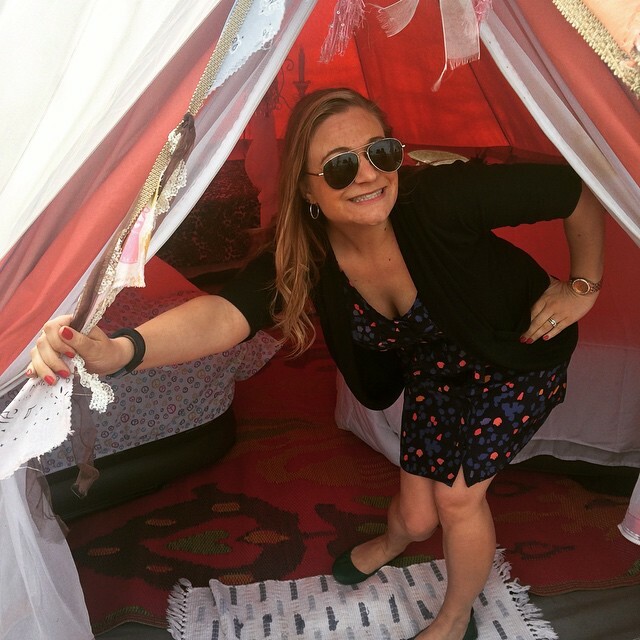 In April, I went glamping (a fabulous way to camp!) for a good friend’s bachelorette party. I also turned 26. 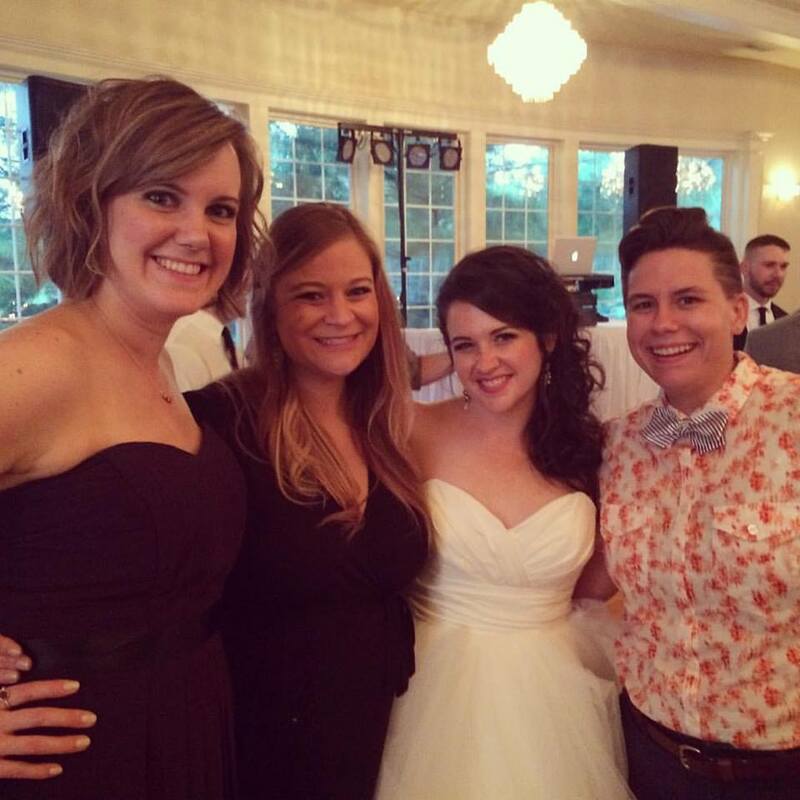 In May, that lovely friend got married! It was beautiful and wonderful. 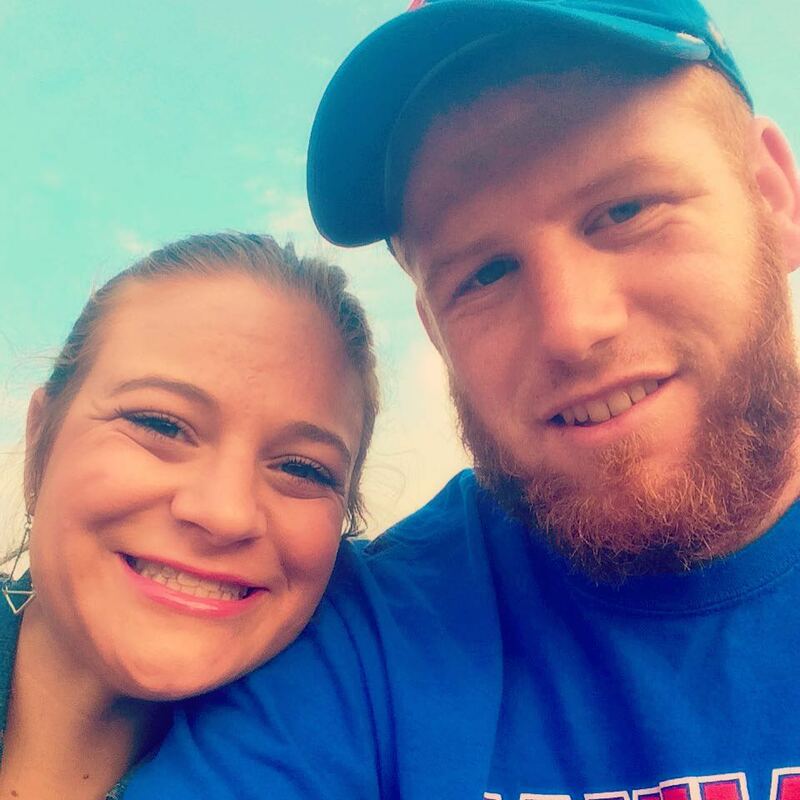 I also found out I was pregnant (again) on Mother’s Day. 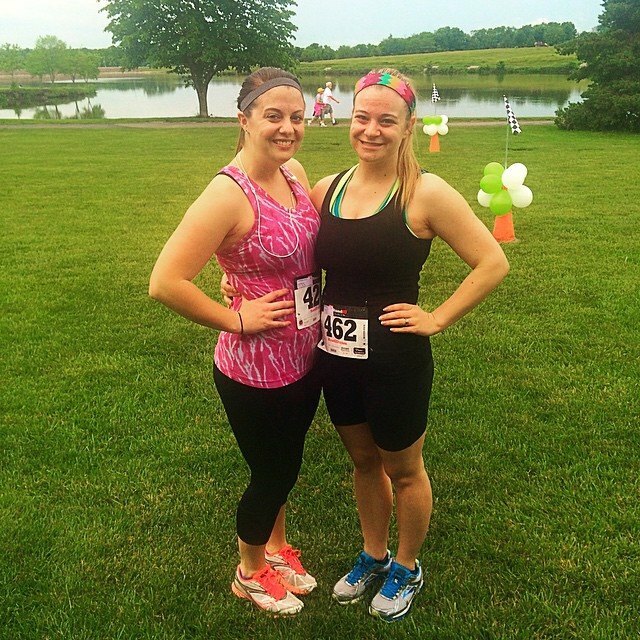 In June I ran a 5K with my friend Kelly at eight weeks pregnant. 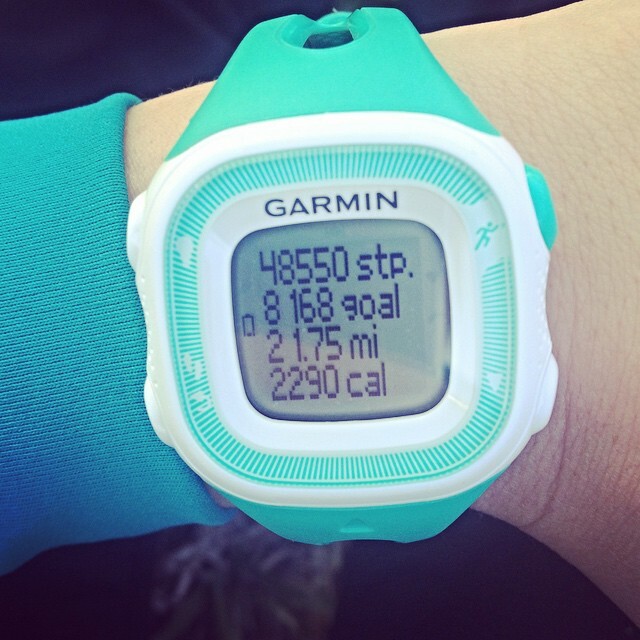 It was pretty difficult and I ended up tapering off from running by August. It’s been months since I’ve run and I miss it a lot. I’m definitely looking forward to getting out there again this spring. Even if it means starting all over and never running by myself again (bringing Baby Hegz along in the jogging stroller!). We watched the fireworks at Corporate Woods…..and fell asleep. During the show. Pregnancy is exhausting, and apparently Steven was feeling it too! What’s another year of living without some travel? In August we took a trip to New York City to visit friends. 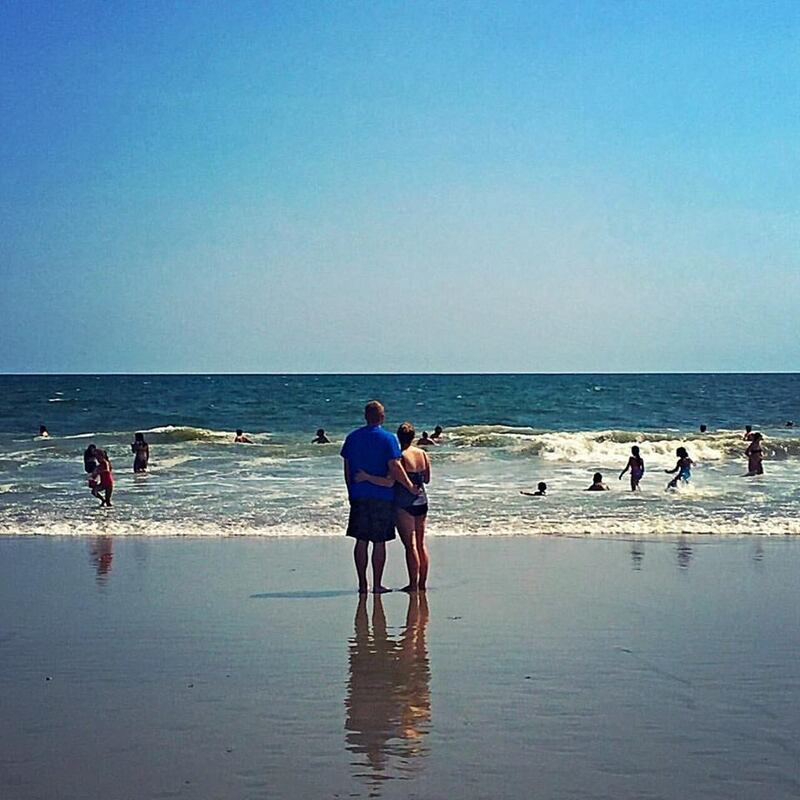 We spent a day at Rockaway Beach in Queens, which was so much fun. Apparently we didn’t get a photo of the four of us together, but it was such a great time, and I’m so glad we made the trip. 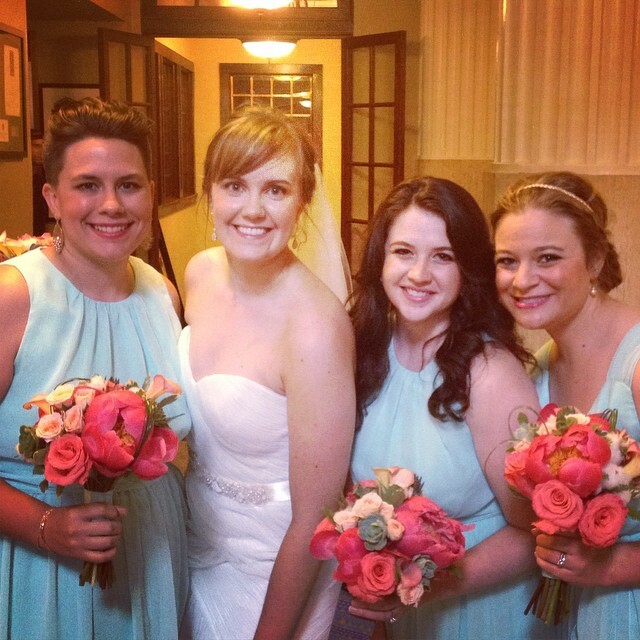 In September we celebrated another beautiful wedding for another beautiful friend. Two of the three pictured with me here now live in different states, and I’m so glad I got to see their faces a lot in 2015. 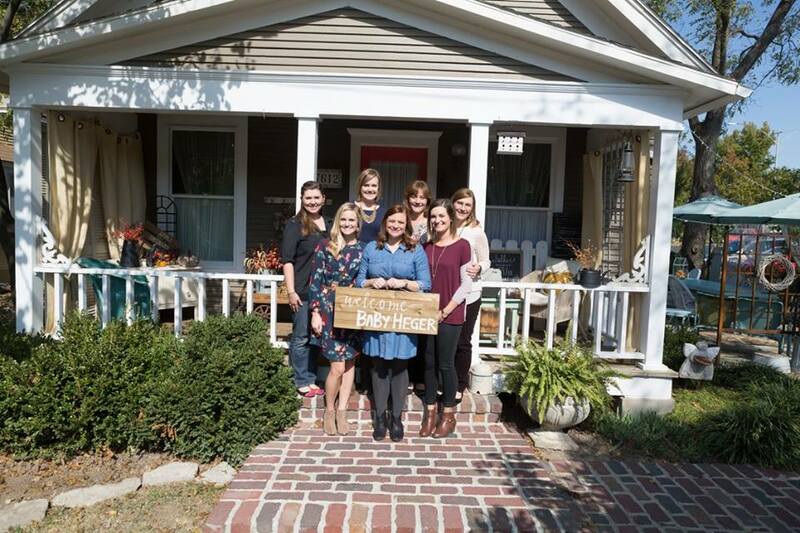 My sweet friends and family threw me a really lovely baby shower in October. I’m so grateful for all the love surrounding this baby, and I often wonder what I ever did to deserve the people in my life. In November we took our first round of maternity photos in the freezing rain the weekend after Thanksgiving. Things started to feel really real. 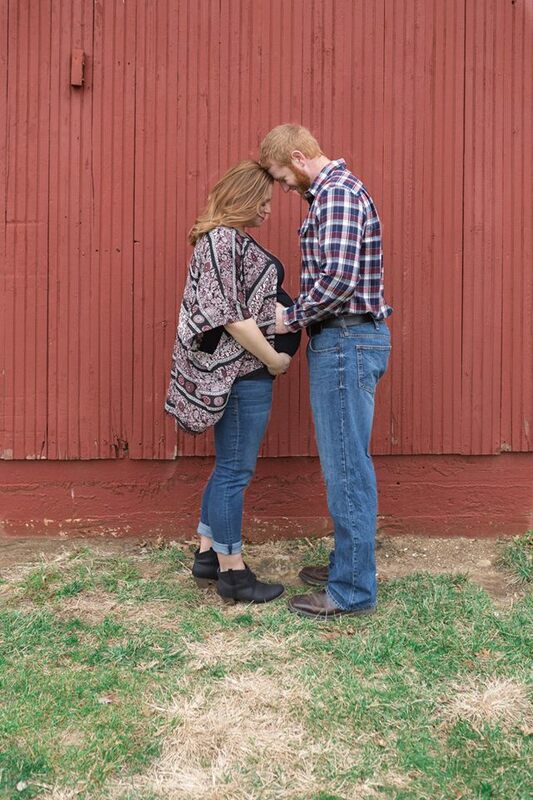 We took a few more maternity photos and had lots of family time in December. We finished the nursery and deep cleaned the house. All systems are a go to welcome this little nugget.